The concept of pro-working can be described as the older, more mature sibling of co-working, according to Linda Trim, a director at FutureSpace. She explains that pro-working is a new kind of shared workspace that is more advanced than co-working, and which focuses more on services than just the space - much like a five-star hotel. FutureSpace is a high-end work space joint venture between Investec Property and workplace specialists Giant Leap. The company currently has two offices in Sandton. It also plans to open several new offices in 2019. "Pro-working is rapidly growing in popularity, with professionals and businesses worldwide that want a shared workspace that meets their polished image," explains Trim. 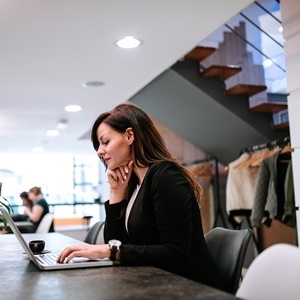 "There is now a clear and growing distinction between co-working spaces, which tend to cater to freelancers, and pro-working offices, which offer a more formal, luxurious environment with facilities to match." Sharing a workspace offers reduced costs of office space, collaboration, networking and the exchange of skills and knowledge. The concept of pro-working has evolved from a typical serviced office set-up, but with the added element of the best boutique hotel hospitality such as concierge services, personal assistants and access to gyms. "Pro-working aims to allow formal businesses to create communities with compatible professionals," says Trim. "Co-working made this transition effortless for lone workers and small companies who depended on flexible work options. And now pro-working is doing the same for the professional set." Trim says one of the key workplace trends today is to make sure your employees are happy and able to produce their best work, which is why the shared market is such a hit the world over, in her view. "Pro-working places are particularly appealing for companies that want to expand because the offices are ‘on-demand’ - there is no need for lengthy procurement processes or FICA (Financial Intelligence Centre Act) requirements," said Trim. "They also offer extreme flexibility in that the office space is there for as short or long a time as you want it."